Hitting Program you’ll ever find.. Videos SAVED in your account share with coaching staff or team. Teaching targets both Baseball specific and (new) Fast-Pitch specific! 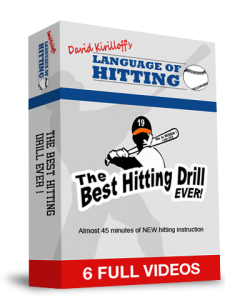 Almost 6 hours of detailed hitting instruction, NEVER Seen, NEVER Heard anywhere else..! While our hitters are struggling, what approach are we going to use to get them out of their slumps? I know hitting mechanics are important, but while the baseball or softball is on it’s flight path – Our hitters aren’t thinking about shoulders, hips and weight shift. I know having the right “state of mind” helps too but – when the pitch is just about to be released, our hitters AREN’T thinking “I can beat this pitcher”… why aren’t they thinking this? Because the ball is COMING ! It has been said, you can learn a lot about a person’s heart, character , interest , just by staring and observing the person’s eyes. I have been practicing this for years now while I’ve been throwing batting practice. And – outside of the hitting mechanics we can gauge a lot about our hitters, and what they are thinking about, and what they are looking at when we watch their faces just before the pitch is thrown. While examining this I was blessed to learn how what is really getting in the way of our hitters performing better is their inconsistency of processing the pitch… Controlling what I’ve termed the “Starting Line and the Finish Line”. It is all too apparent to me now, the Hitter’s Biggest Challenge (at home plate) is to process AND control the beginning and the end, the front and the back, the starting line and the finish line. Period! 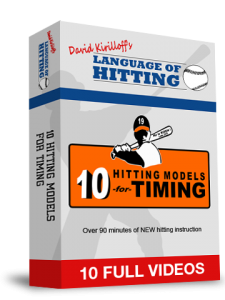 This may sound easy and elementary but – it’s taken years of filing away hitting notes and word pictures to drive home to the hitter an effective way to get these elements across, one in which the hitter can apply while standing in the batter’s box. The first step in getting our hitters to perform better is gaining more knowledge about the pitcher’s common denominator. Remember – KNOWLEDGE doesn’t decrease in value, KNOWLEDGE always increases in value. The earlier your hitter learns how to process correctly, the knowledge will become even more VALUABLE! Videos #1 thru #13 .. Lab / Research of the BIGGEST hitting ingredient for TIMING, NEVER explained anywhere and NOT explained in previous video series 10 Hitting Models For Timing. Videos #14 thru #18 … Extensive research that will help the hitter to do things physically, that helps to see the ball EARLY in the FLIGHT PATH. Videos #19 thru #21 … Understanding the hitter’s own athletic DNA, making rule applications for quick tempo hitters vs. slow tempo hitters. Videos #22 thru #23 … The SECOND most essential ingredient to hitting and timing… I have NEVER heard anyone else teach this principle. Video #24 … Hitting Additives – Ever Hitter Uses Some Form of an Additive. Video #26 + #27 … Eliminate the Hitter’s Wondering Thoughts at home plate. Learn how to recognize what is every pitcher’s COMMON DENOMINATOR is and begin to get in sync with every pitcher.. This is probably the TWO most important videos on the entire website ! Videos #45 -#49 … Are NEW specific details on how I learned to teach Vision and Adrenaline even more effectively. from this point forward, for FREE! Get ALL 3 Video Series .. When you Order TODAY! Hearing the information from the video series is extremely helpful. It’s even MORE effective when you hear it from me directly. Sure we can use Face Time via the phone to explain ideas. But, nothing compares to the direct hands on, eye to eye contact, to convey information ..Especially when I’m addressing and examining YOUR specific hitting needs! – Two (2) – one hour and fifteen minute hitting lessons at your local batting cages or playing field.